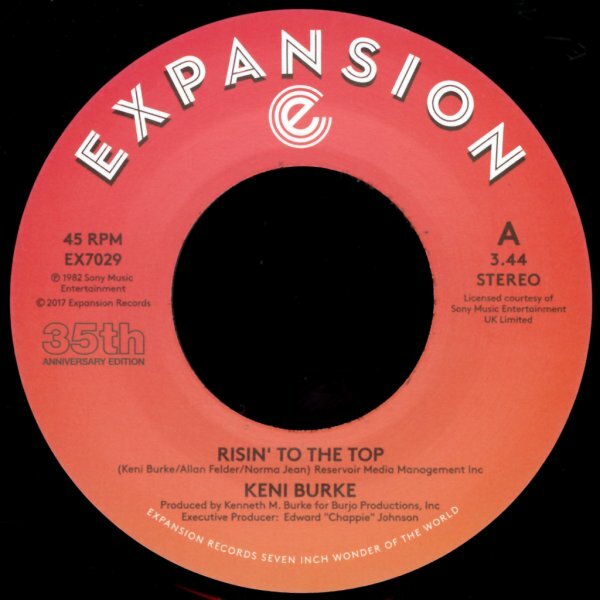 A massive jam from Keni Burke – easily his greatest tune ever, and the kind of track we'd hardly have imagined back when he was a little tyke in the Five Stairsteps! The track's got a thumping, stomping kind of groove that really gets going from the start – and the vocal hook is a wonderful one – instantly recognizable, thanks to a strong sample history! "Hang Tight" is less familiar, but an equally funky number – with the bassline stepping up and down in this really great way – alongside sweet keyboards and vocals! © 1996-2019, Dusty Groove, Inc.